Planting season is in full swing at the farm and is documented on the blog Record of the Event Called�One Farm Season, with reflective posts by the farmers themselves, including Farm Manager Qayyum Johnson. Green Gulch produce returned to area farmers’ markets this month. In addition, distribution of community-supported agriculture (CSA) boxes began this week. 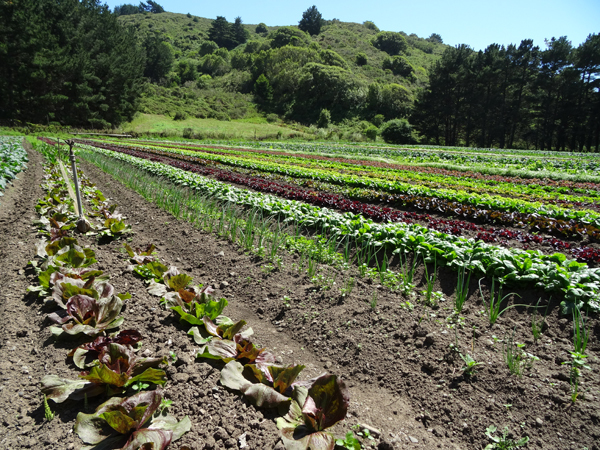 Sign-ups are still open for Muir Beach locals to receive a weekly or biweekly box of farm-fresh produce during the 18-week season. Please write to greengulchveggies@gmail.com, or leave a message at 415.354.0420.